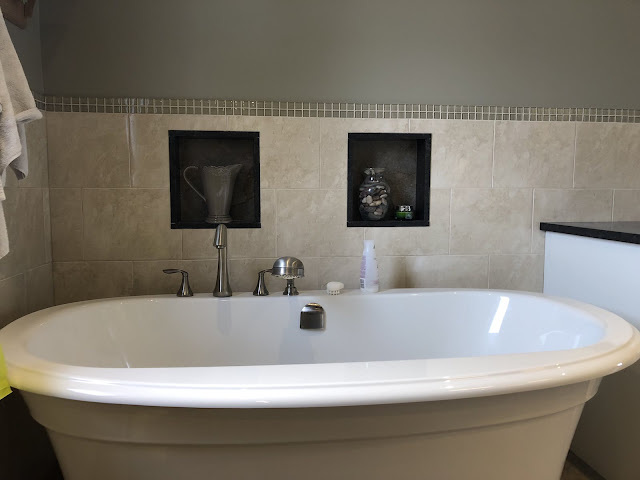 Last year I had an excellent contractor redo the bathroom at my home in Hamilton, as it was high time for a bathroom renovation. 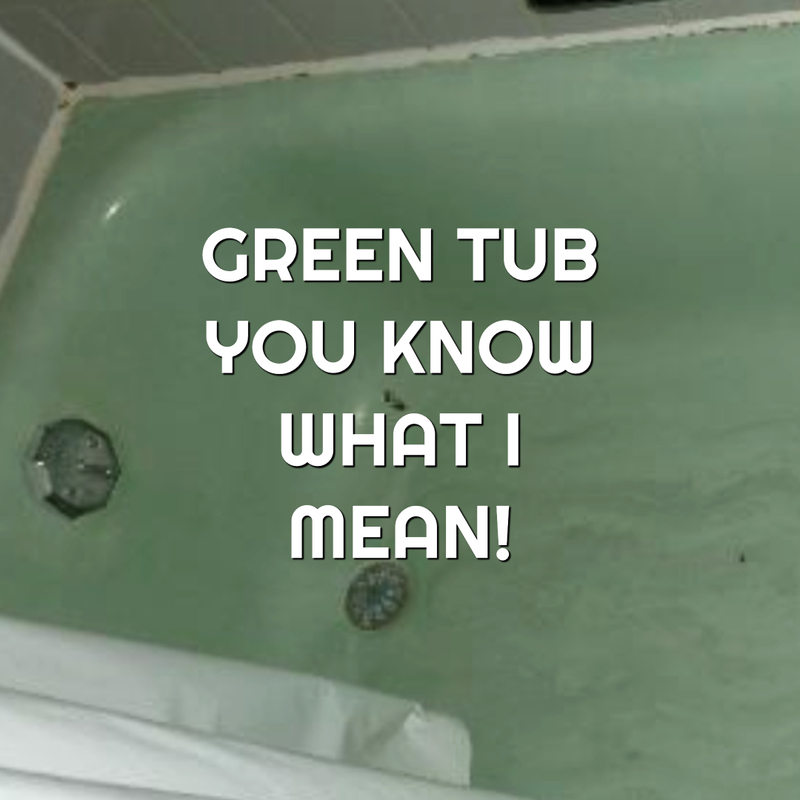 Since my house was built in the 1970's, you can safely assume I had an olive green bathtub and toilet to match. Granted, I myself could've lived with this stylish decor for the rest of my life... It didn't phase me. But the wife was not so thrilled with the choice. Somehow bathing in olive coloured soup didn't appeal to her. Bathroom contractors are a notorious beast... Not only are they in high demand all across Hamilton itself, but even if you reach out to renovation crews in Burlington or Waterdown, it's still quite tough to get a call back. It must be nice to be so busy that you don't have to call back prospective customers. That is SOME business! That is until I landed on Bearder Construction (based in Waterdown -> err, Millgrove, to be perfectly accurate). 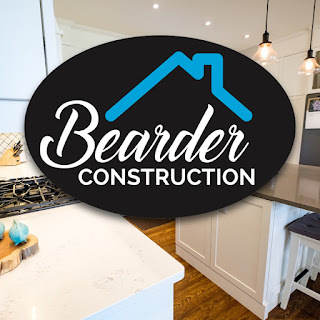 After contacting Bearder Construction via their website's contact form, I was please see see an answer to my bathroom renovation query before the day was out... A strange departure from the way others had been treating my requests. Mr. Cory Bearder was able to come out for a visit the following day to inspect my current masterpiece of a bathroom. 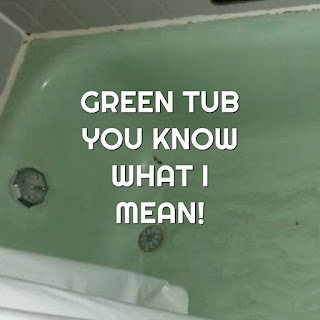 Since he's been in the construction business for over 15 years, my 'unique' green bathroom fixtures were very familiar to him. A strange aside, is that he was actually aware of the builder of the house. That was comforting in a familiar sort of way. 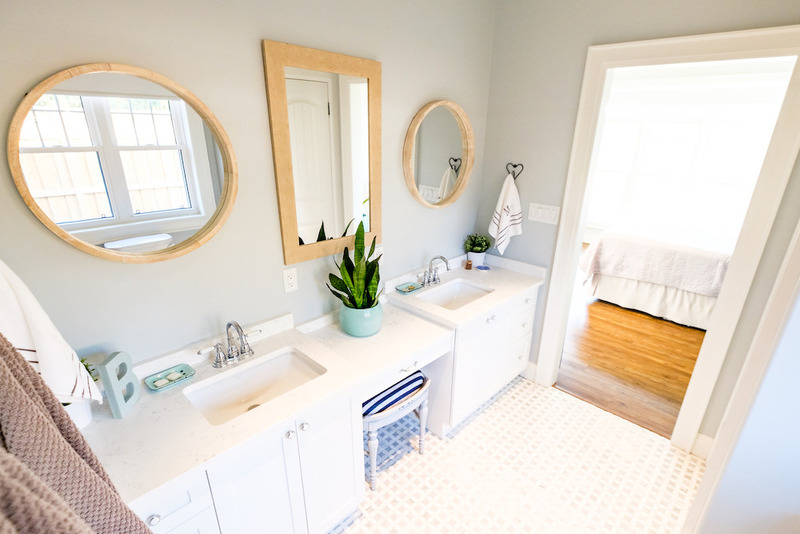 When I was expecting a long drawn out story related to how big of a project this bathroom renovation would be, he actually explained it all really simply, and in plain English. I am not one for construction lingo. That's the way you get through to people now. Really it's the way you've always been able to get to people, it just seems we went through a long period of time where overly sales-y people would get knee deep into industry jargon. This turns off regular people, and creates a distance between a service provider and customer. Again, I am thoroughly impressed with the poise of Bearder Construction. 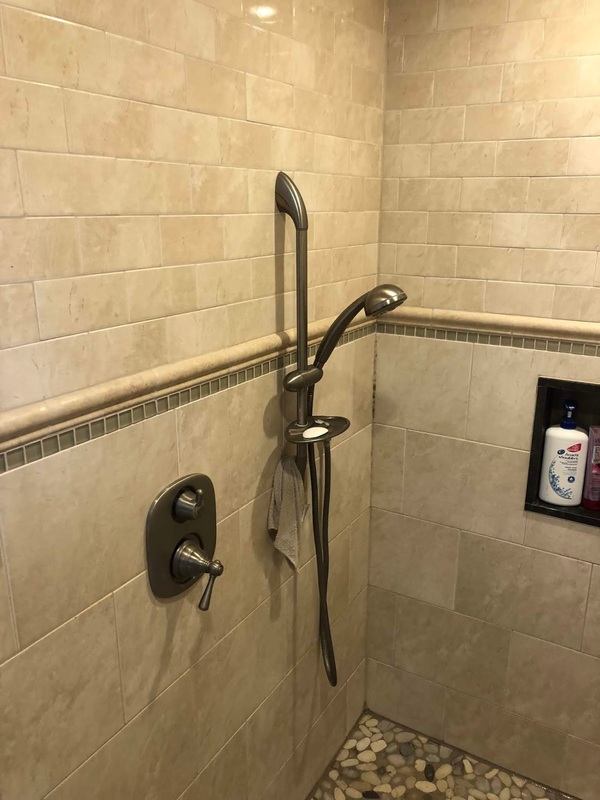 Hamilton area bathroom experts, you're in trouble! Remove old bathroom door and other random fixtures. Basically a full gut, with some modest drywall work. Seal and caulk seams and all appropriate moisture sensitive joints. Now that I type it out, I'm actually much more impressed with the final cost of this Hamilton bathroom renovation. In fact, maybe it's time to do the kitchen! I have to give credit to Cory and his crew. Not only did they get done the job much faster than anticipated, it actually seems like I received plenty of bang for my buck. Considering the notorious feelings I used to get when thinking about hiring contractors and construction companies, I've now changed my stance entirely. They're saving me time, and improving my lifestyle. It's a win win, though yes, it will always cost you money. But hey, we make it to spend it. And if you can't enjoy some nice Italian stone tile beneath your feet in your new bathroom - What's the point? 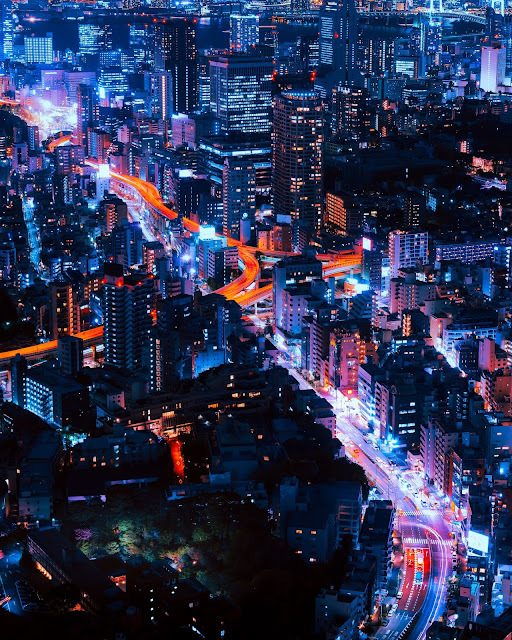 Hamilton's Growing Population of Mortgage Brokers And What it Means for You The web is flush with people who are interested in attracting your attention to discuss home financing and their ability to be your mortgage broker in Hamilton, or mortgage agent. The Truth is: Experience Counts When we sift through all of the different mortgage companies in Hamilton, we're really going to have to focus on important factors that really distinguish between the herd. Some companies are rather new, and that doesn't give us much to work with in terms of track record and authority. That's not to say they're not good at what they do. 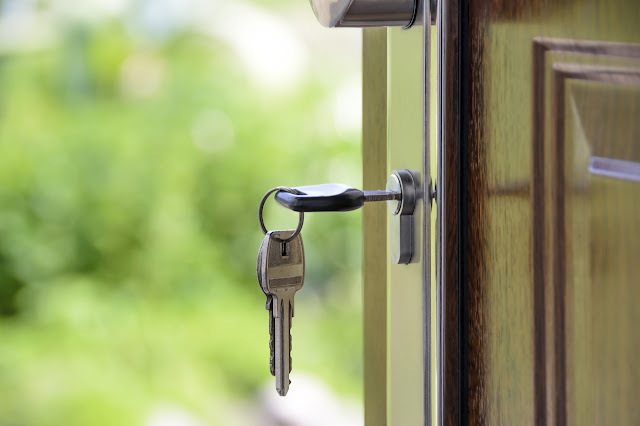 It's just one factor of many that you can choose from in addressing the quality of your mortgage broker in Hamilton, Ontario. Welcome Back The Hamilton Biz Directory is back, and will soon be better than ever. We'd like to thank you for your patience while we've been away, but guarantee we will have nothing but high quality listings relevant to Hamilton and the immediate area only. All listings will be monitored and set to approval only. This will keep unacceptable businesses from posting and cluttering up this soon-to-be magnificent site. Update on Why we Love Hamilton I grew up in a small town on the outskirts of Hamilton, Ontario. The name of the town is Caledonia, and the proximity to Hamilton meant that if any fun was to be had as a youngster, it meant going to Hamilton. Whether it was to a Tiger Cat football game, or a Hamilton Bulldogs hockey game, there was no shortage of entertainment and business options in this fine city on the mountain.